While the total number of homes listed for sale in San Francisco slipped by a little under 4 percent to 625 over the past two weeks with typical Spring Break seasonality in play, there is now 17 percent more inventory on the market versus the same time last year versus 10 percent more two weeks ago. The currently inventory count includes 215 single-family homes (which is 25 percent more than at the same time last year) and 410 listed condos (13 percent more) but doesn’t include around 600 units that have yet to go into contract in new developments around town. While inventory levels are up, however, the percentage of homes on the market with a list price of under a million dollars has dropped to 28 percent, which is 7 percentage points lower than at the same time last year and down 8 percent in the absolute. And of course, a higher percentage of more expensive home sales will push the median sale price up, even if underlying values have declined. No fooling. Maybe all the Lyft millionaires will buy them. The stock tanked by 12% in its first full day of trading, is now below the initial offer price, and is still falling after hours. And this was with almost no short sales, which won’t start in earnest for another 28 days. Then, 149 days later, the employees will be able to sell. I can only imagine the hoots and howls at the Uber roadshow, if they even have one. Don’t you know? The coming IPO’s for all the unicorns that lose a billion dollars per year and have no path to profitability before our unborn great-grandchildren are ready for retirement are going to cause current prices to triple by the end of the year. I read it in the New York Times! A Sotheby’s used house salesman said there will be “ten thousand millionaires overnight.” It has to be true. Book it! My favorite was the Compass analyst that said the average price for a single family home in SF will be $5 million soon. That might not even be wrong. Did they actually say “average”? Seaport Global Securities just slapped a $42 price target on Lyft. Last private round raise was around $44 per share. And Lyft, though much smaller, is much cleaner than Uber. Uber is still trying to wade through legal overhangs, lost an unadjusted $4.5B in 2017 and more than $1B each in Q3 and Q4 in 2018 after Dara was working on the cleanup. The story with Lyft was that if the market mood was just right, it might get the benefit of the doubt because it still had revenue growth whereas Uber’s fell by half this past year. I think one of the reasons why we have so many big name IPO’s this year is that the market performance at the end of last year and some calls for recession in the next two years caused a big rush. When you are asking investors to take a leap of faith on companies that have done nothing but lose money, you have a certain window and don’t want to miss it. And yes, in that trash Nytimes piece, the r/e agent said an average price of $5 million in SF with all cash buyers. Brokers don’t even need the IPO’s to be successful. They can try to scare a few more people off the sidelines with that kind of hype. In general with the decline from higher rates, stock market recovery, etc, I would be surprised if we didn’t get some more gasps of activity and push higher in the market here in SF. The massive experimental stimulus of the Fed that drove up all risk asset prices is going to take years to unwind and will be an uneven process. That was one of [my] least favorite NYTimes articles about SF recently, in a very long line of bad NYTimes articles about SF. Over and Over again they write stories that basically follow the theme “SF used to be a really cool place full of hippies/artists/free thinkers and now it’s been i ruined forever by tech”. Some of them are quite comical. And I LIKE the NY Times! But they have a very odd romantic blind spot for SF. It seems like it’s tough to determine exactly what impact Lyft and other IPO’s will have, but the arguments brought forth here are of the same type my old hedge fund boss was using in 2009 when he was short Amazon as a portfolio hedge for us. He’s not a hedge fund boss any more. Yeah yeah, the market is a short term voting machine and long term weighing machine but in the middle term, F yourself, you’re fired. On Redfin, I searched for 2 bedroom + homes or condos on Redfin in San Franciso and found 463 homes. 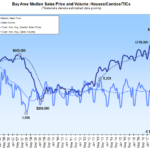 I didn’t bother to make a spreadsheet, but SS just reported a SF median price of $1.25mm for Houses/Condos/TIC’s. 463 * $1.25mm = $578,750,000 of inventory as I described. LYFT closed today at a market cap of 19.73 billion. Let’s say it falls to 12 billion in 2 months. If 8% went into employee hands, 8% of 12 billion is $960mm. Let’s say 1/3rd of those employees are somewhat in the market for a home, that’s $320mm, and levered twice (some go all cash, some borrow 80%, use 50% as a round number, you’re back at $640mm of buying power. No, I don’t think every house on the market is going to disappear after the lock-up period, but I also know the inventory (DESPITE INVENTORY INCREASING – PLEASE ADD YOUR SELF-REFERENTIAL HYPERLINK HERE) is fairly thin, compared to the amount of liquidity that will be made available to a number of locals. It seems likely to have some sort of impact on the market. Maybe none at all. The standard deal for software engineers around here is about $500k of RSUs vesting over four years, plus annual grants that keep things around $200k/yr. However if Lyft is worth only $12bn, less than the $14.5bn at their last private funding round, then those packages are worth less than $200k/yr. There are people who probably made a lot of money in that IPO, but we’re talking about tens of people, not thousands. The reality is that the median engineer at Microsoft or Google or Facebook is making $550k/year in cash and highly liquid stock. That’s hundreds of thousands of people. The impact of all that money is much larger than a handful of lottery winners. Don’t forget that RSUs are taxed at ordinary income at the price at the time of vesting. You can elect to pay taxes at grant, but if you leave, and your shares never vest, you don’t get the money back, so I suspect few people do that. If 20% of those shares vested and were taxed at the $44 per share price, and the price drops to $22, they gained literally nothing on those RSUs. Take those shares completely out of the equation. Even shares that vested at $22 are only worth half that because the taxes are at ordinary income rates. So your $640M of buying power could very easily end up at $300M. Think $22 per share won’t happen? Zynga came out at $9 and shortly after the lockup expired, was at $2 and change. Zynga lost only $36M in its first public year, down from a $200M loss the year before. By contrast, Lyft has no path to profitibality ever. Their business plan is: if someone would invent a way to reduce our costs and sell it to us for peanuts (instead of just making an app themselves), we’d make money. Until then, we haven’t a clue. Unless they lay off virtually every engineer, this thing is going to be shorted into the ground before the employees can sell share 1. Lyft is undoubtedly a zero, and Uber will follow it to zero in time. My point was that it doesn’t matter. There are way more people working at larger, profitable companies around here. Amazon, which isn’t even from here, has 6000 people working in the Bay Area. LinkedIn isn’t profitable but its 14000 employees get paid in Microsoft stock. Nvidia has 12k employees and talk about lottery winners: anyone with a $500k RSU package five years ago now has $5 million. 25000 people work at Apple in the Bay Area and their stock went up 22000% in 15 years. These are people who just go to work (on buses!) and collect pay checks, nothing fancy. a lot of assumptions and generalizations in these comments stated in a factual way. Jeffrey, your analysis is spot on. Google, FB, NVIDIA, Apple… these are the $3M home buyers in my neck of the woods. The 10 guys at Lyft who hit the lottery don’t matter to the average home buyer. The bigger point, though, about all the normal Apple and Google and Amazon people raking it in is completely valid. big assumptions and generalizations on both sides. people can fit one side to the view they have already. Not saying they are correct, but glassdoor has the average google engineer salary at $124k + $20k in bonus. I’m sure some are making 550k or more but that is what they list as average. paysa has higher numbers with base at $142k, and total including bonus, equity, and signing at 202k. I’ve seen posts in forums on quora/reddit on these topics which seem to fall in between. Do you disagree that SF sales figures are marginal in the first place? And that therefore, in order to affect the market, it need only be a fraction of a fraction of the beneficiaries from these IPO and liquidity events? spencer, I agree that lyft won’t go to zero, but don’t discount the knock on effect of a significant draw down in the stock price. It doesn’t have to go to zero to have a chilling effect on other unicorns looking to go public. If uber decides to wait on an IPO, and in the meantime lyft goes down by say, 40% from the IPO price, uber probably won’t do their IPO. If that happens, then it’s unlikely that the other five will either. Uber doesn’t need public money for their equity, they can always call up Masayoshi Son and ask for another $1 billion. zynga revenue is nothing compared to lyft, and they had a one hit wonder. if you think its going down that much, you should certainly short it. I would be willing to be you a whole whole lot of money that the stock wont be below $50 in 6 months. losing money doesn’t matter so much in a high growth environment and lyft has significant room to grow. Short interest on lyft is so high right now that it currently costs 101% of the price of the stock just to borrow it for a year to short it. That should give you an idea of where the market thinks it’s headed. However, it will keep the stock price level, as you can make money from buying it and then loaning it to a short seller. If it goes to zero, you still make 1%. You don’t need some rando on the internet to take that bet. If you’re so confident there’s a market for October 2019 calls @ $50. it is definitely not 10s of people. the valuation was less than half just 2 years ago, and there were already a decent amount of SF LYFT employees then who have gained $35+ in difference . a lot of them got options and not RSUs. I would assume at least 200 employees received at least 20k options, 50 received over 50K, and 20 over 100k. 20k x 35 = 700K, x 50 = 1.25M, x 100 =3.5M. thats just for those ther 2 yrs ago. for those there 4 years ago, its significantly more. I am one of those lucky folks who’ve been through 2 successfull IPOs, but on the biotech side. in my 1st, the exec admin got 100K options, and ended up making over $7M. thats obviously an outlier but 1st 100 employees typically make huge banks regardless of level. This one is deeply flawed, in that it doesn’t take into account lockup periods or tax consequences, but it’s working from the S1, and taking into account housing inventory. Deeply flawed is an understatement (while reinforcing the most common analytical mistakes). The employee pool isn’t evenly distributed, simply having wealth isn’t the same thing as actual demand, and point-in-time inventory levels aren’t the same thing as supply. 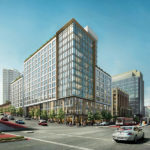 But looking at it another way while using the same calculations, with an average of 100 homes listed for sale per week in San Francisco, the entire employee pool at Lyft represents six weeks of typical supply, not including the vast majority of units in new developments around town (the current inventory of which totals around 600 units as well). Nothing was reinforced at all there. You might also consider the 44M RSUs that were added to their incentive plan. The S-1 suggests that they could mint another 20M shares/year for employee compensation. Lyft raised 2.3B with the IPO. Big Deals, Life Sciences Push U.S. VC in 2018 to Dot-Com Boom Levels. You know an editor was just dying to put Dot-Com in the lede. Looks like people shorting LYFT are getting pummeled right now. Will be interesting to see what it looks like in a few months. Keep in mind that over 40 percent of LYFT’s floated shares are currently shorted. That’s compared to closer to 17 percent for Tesla (as of of two weeks ago and with the stock having dropped 5 percent since) or under 2 percent for Apple. Huh, that’s the first time I’ve seen you offer stock picking advice. Lyft’s float is miniscule until the lockup is over. How did you choose present-day Tesla and Apple as comparables? The editor probably picked Tesla as comparable because it’s a heavily shorted stock. Apple would be on the other side of the spectrum, with very light short interest. And while you’re right that the float for LYFT isn’t in the same range as that of Tesla or Apple, the editor properly took that into account above by just looking at the percentage of floated shares shorted. I don’t really understand why you feel the need to only speak to some people on your website all the time, when other ones say wild stuff about zeros and doomsday things. It makes you look terrifically biased. But whatever “floats” your boat. We try not to waste our time with crazy. But when we have additional data that could advance the conversation, or correct a basic misstatement/misunderstanding of the facts, we will. And if being data, versus “feelings,” driven makes us biased (or someone uncomfortable), so be it. On the contrary, you insert your feelings quite frequently, manifested by whom you address, and when. For example you’ve routinely allowed the “IPO events are nothing” narrative to continue without direct challenge. Yet someone cites an article using some actual data, even framed skeptically, and you “feel” compelled to chime in. Again, we try not to waste our time with crazy. But when we can correct a basic misstatement/misunderstanding of the facts, or linked data, we will. The share price of Lyft has since dropped 20 percent with today’s close at 60.12. That’s 16.5 percent below the offering price of $72 per share and down 28 percent from the opening bell and engineered “pop” on the day of the IPO. At the same time, short interest has now ticked up to 43 percent of the current float. Better alternate summary: “Uber announced an IPO below previous expectations because of Lyfts poor post IPO market performance.” And pinterest planing a down round IPO too. Yikes! Will the IPO effect be negative if people see their public market wealth drop below previous secondary market valuations?? People don’t tend to spend like drunken sailors right after their stock portfolio falls by 28%.